From the moment I met this soul diva back in high school, I knew she had a voice sent from heaven. Rhythm & Blues runs through her blood (literally) and you can hear it in every lyric and every note she delivers. She’s had three major album releases, which in this day and age of the music business is rare…most artists get one shot. 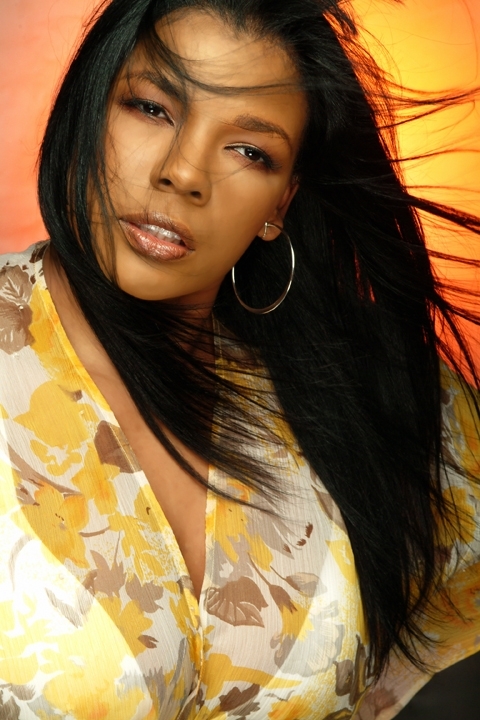 She’s hit three in a row…So why is Syleena Johnson “R&B’s Best Kept Secret”??? Well, the secret is finally out. Chi-town’s own soul siren is “delivering” another chapter in the book of Syleena with her fourth album release, “Chapter 4: Labor Pains” set to hit retail and online distributors on September 2nd, 2008, the day after Labor Day. There is more significance and irony to the title because the release date is also Syleena’s “born day” and like her previous releases, the inspiration for the album is drawn from life experiences such as becoming a wife and a mother over the past year. In this day of digital downloading and decreasing album sales , this album is even more of a “labor of love” since this is Syleena’s foray into the independent route. She recently launched her own label Aneelys Records (Syleena spelled “Backwards”) which came via an exclusive worldwide distribution deal through Federal/Universal Music Group. Instead of having a major machine with the major marketing dollars, all the risks and hard work will be taken on by Syleena and her “A-Team”. Syleena kept the production in-house (so to speak) by enlisting hometown producer Toxic for her amazing lead single, “It Is True” which is now getting rotation at Urban AC radio outlets. This heavenly ballad professes Syleena’s true love for her new family in a beautiful and compelling way. The listener will get drawn in from the opening angellic harps backing Syleena’s sultry voice as she weaves a tale about “girl meets boy”, they fall in love, and grow old together. Although a lot of Syleena’s music deals with the pains and struggles of women, one continuous message throughout her music and everyday life is the strength she gets from God. “Labor Pains” I’m sure will be no different in that regard. As always, support your local artists and make sure you check out “Labor Pains” when it drops. Real Rhythm & Blues is coming back!